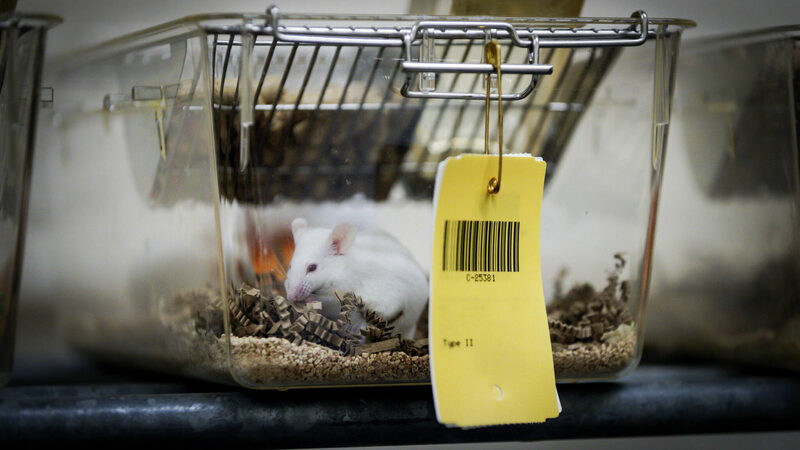 The Netherlands aims to be free of animal testing by 2015. So far, we have made strong progress in the reduction, refinement and replacement of animal experiments. Also compared to other countries, the Netherlands are well on the way. However, in 2017, the number of animal experiments increased by 80.000 compared to the previous year. Why? Dr. Wim de Leeuw, head of the Animal Welfare Body at Utrecht University, spoke to NOS: “The decrease in the number of animal experiments is stagnating; sometimes, there is no way around it.” It seems that replaceable animal species have been replaced by now; animals that are still being used, are simply necessary to advance science and medical innovations. Animal experiments underlie strict regulations. Only certified institutes and personnel are allowed to conduct experiments, which must be approved by several animal ethics committees. Sometimes, it takes months before experiments can be performed, as it aways has to be clarified whether the benefits outweigh the costs and whether there is no other animal-free alternative. Utrecht University and UMC Utrecht keep working hard towards the goal of replacing animal experiments by 2025. If you want to learn more about Advanced In Vitro Models, read more about our Summer School.